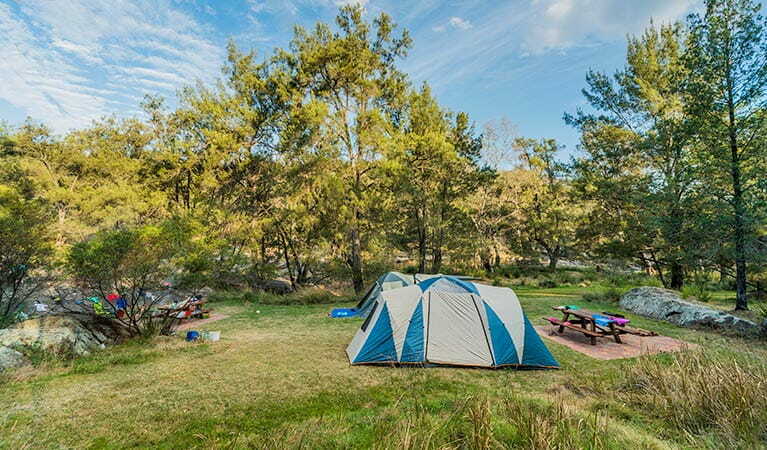 Enjoy vehicle-based camping in your 4WD beside Namoi River at Warrabah campground and picnic area, where you can bushwalk, fish, swim, and go canoeing. For more information about this campground, please contact Narrabri office. 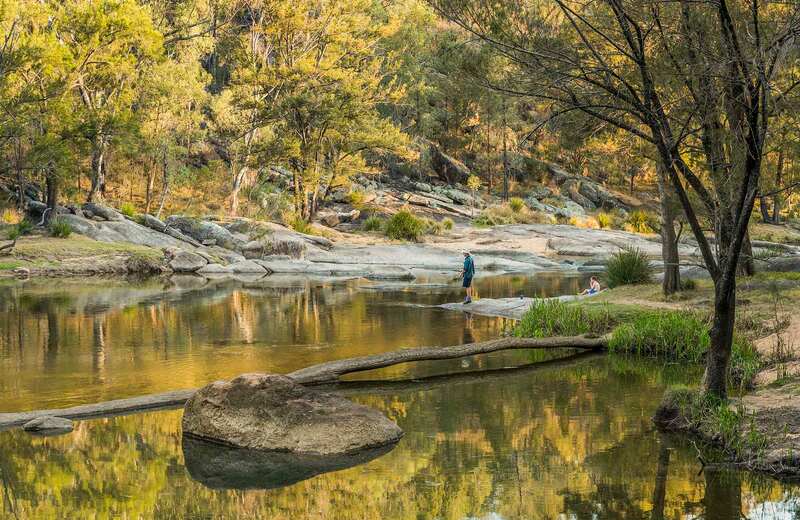 This is a great place to base yourself to enjoy all that the park has to offer – bushwalking, birdwatching, swimming, canoeing, and more. 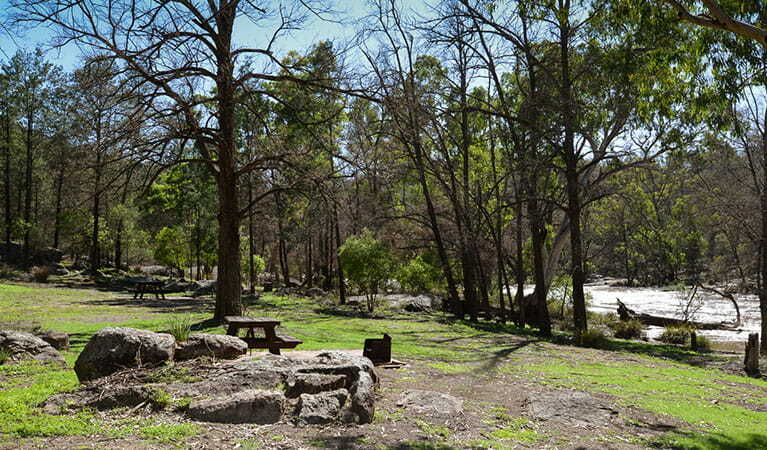 You’ll wake up every morning to the sights and sounds of the gorgeous Namoi River at this lovely, relaxing campground. There is plenty of wildlife, dramatic granite boulders, and a gloriously varied landscape of colourful plants and animals. 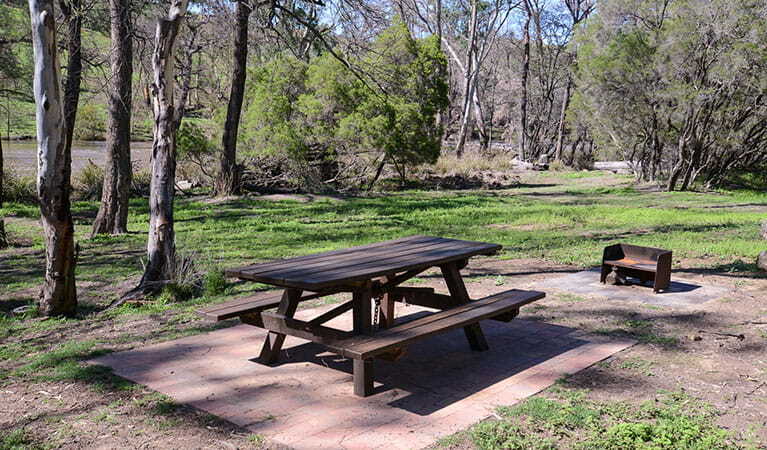 The campsite is well laid-out, with a picnic area right beside the river. At night, cook up the fish you’ve caught in the river over the open fireplace and dig into a feast. Animals that visit here include eastern grey kangaroos, common wallaroos and red-necked wallabies, and look out for the paddling platypus that splash about in the river holes during the afternoon. Birdwatchers will appreciate the many species that call this area home, from crimson and eastern rosellas to sulphur-crested cockatoos and superb fairy-wrens. Warrabah National Park is always open but may have to close at times due to fire danger or flooding.